Discussion: Prepared from the flowers of Arnica Montana plants. 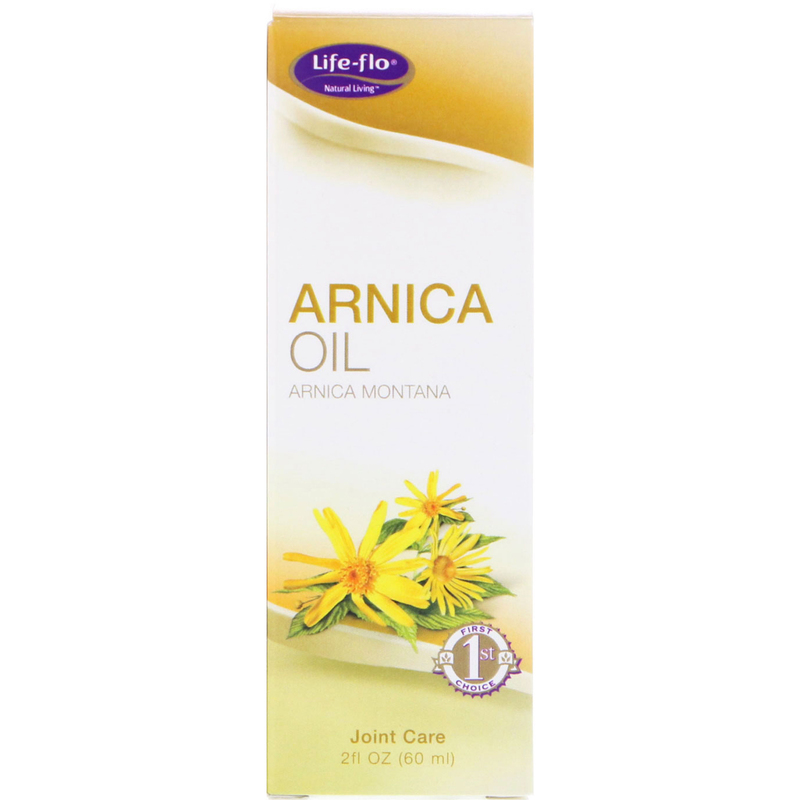 Concentrated into extra virgin olive oil capturing the natural soothing of arnica for active people of all ages. Perfect after a strenuous workout or a difficult day. Apply to skin as often as needed. 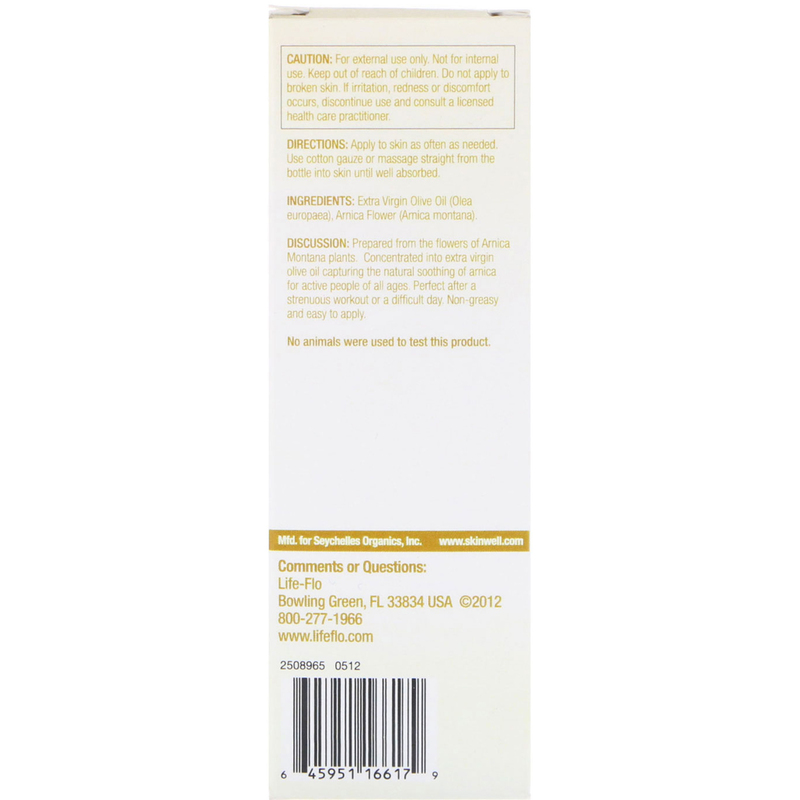 Use cotton gauze or massage straight from the bottle into skin until well absorbed. Extra virgin olive oil (olea europaea), arnica flower (arnica montana). Caution: For external use only. Not for internal use. Keep out of reach of children. Do not apply to broken skin. If irritation, redness or discomfort occurs, discontinue use and consult a licensed health care practitioner.